County Cavan Golf Club is one of the oldest and most mature 18 hole parkland courses in Ireland. With its lush tree-lined fairways and excellent greens you are sure to enjoy. Play a round of golf here for just €10pp on Mondays! A fourball round of golf, Tuesday to Sunday, will cost you just €60 in total – that’s 4 for the price of 3 players! Take part in the Open Day Ladies & Gents every Thursday for €15pp. Offers valid from November 22, 2013 to March 10, 2014. If you’re searching for a golf club that will have great services and facilities for visitors, you’ll be glad to know that County Cavan Golf Club is quality assured by Fáilte Ireland. It’s an independent assessment of what you can expect to find when choosing a golf course. The scheme is based on the overall quality, but also takes into account facilities. 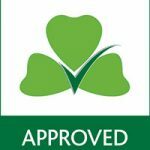 Introduced by Fáilte Ireland in 2010, Ireland is the first country to undertake a nationwide quality assurance scheme of this type for golf courses. By choosing our golf course, you can be assured of high standards in facilities and customer services.